Enamelled cast iron cookware – a high quality, durable, hard and unchanging material. The inner and outer enamel layer resists grazes and cracks. 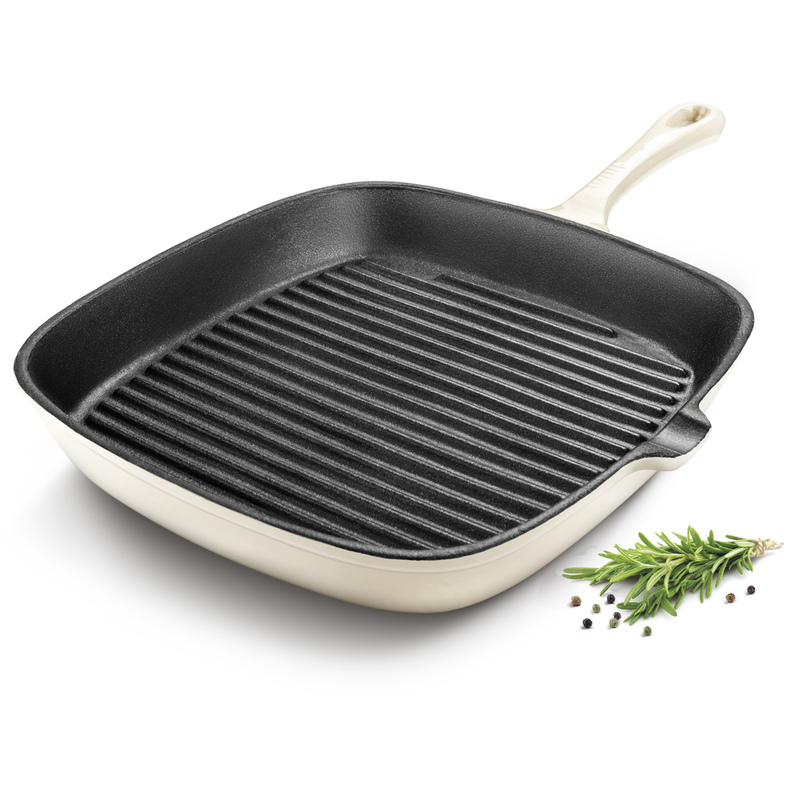 Quality cast iron with a non-stick enamel layer combines low adhesion with high mechanical and chemical durability of the cookware. Despite its weight, enamelled cast iron achieves the best possible thermal conductivity and accumulation properties. Easy maintenance and cleaning.